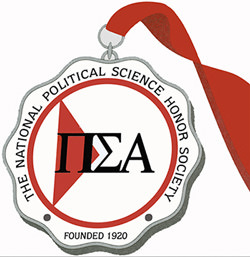 Pi Sigma Alpha was founded in 1920 in order to promote scholarship and academic excellence in government, political science, public administration and international relations. The national organization offers awards for outstanding research papers, scholarships for graduate school and a national student conference. The Manhattan College chapter, Omicron Epsilon, was incorporated in 1984.